Click Here To See Batman Adventures #30 Comic Book! WOW! 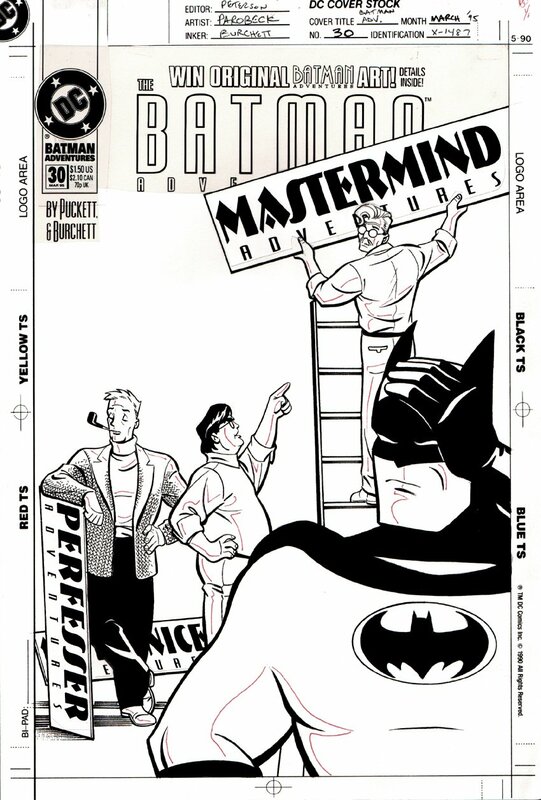 Not many times will U EVER find a Batman cover for sale by the much sought after late great Mike Parobeck! 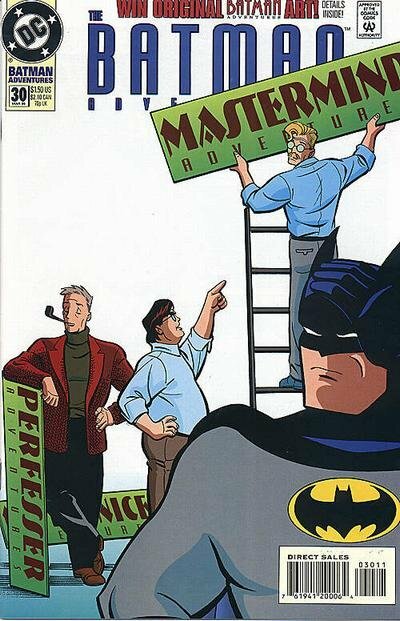 This AWESOME cover, from the story titled: "Natural Born Loser" features Batman putting his hands to his head as Mastermind, Perfesser, and Mr. Nice all decide to take over Batman's book and cover logo! LOL! Just a great Batman COVER! Compare this nice cover art to the published comic book in the red link above, COOL!